Is it Mold? Is it my imagination?? Well, probably it is mold. Is it your imagination? Your imagination is probably in high gear. Seeing some mold in your home or building can open the flood gates of one's imagination. Is there more where I can't see it? is it in the walls/ceiling? Is it in other rooms? Is it everywhere and I can't see it? Don't flee the building and run down the street just yet. 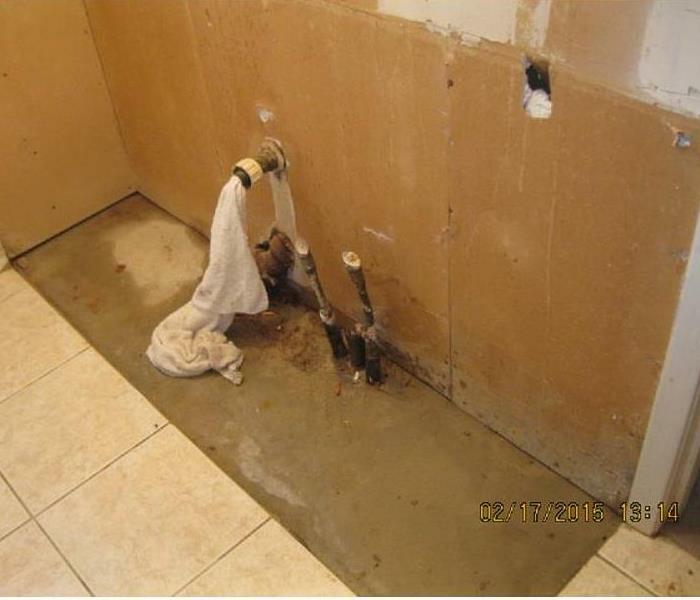 At SERVPRO of Waco, we have been removing mold and remediating mold for 18 years. We've helped folks throughout Central Texas from full blown containment of the building removal to offering advice over the telephone. 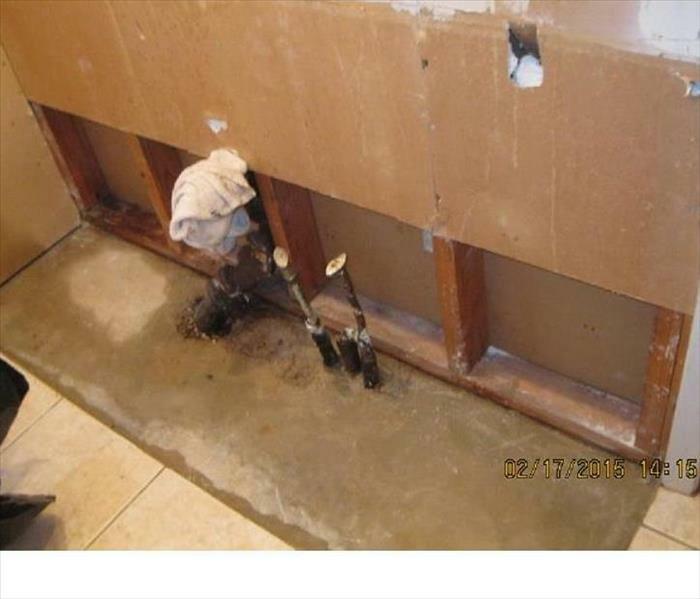 If you have mold, you have water where it doesn't belong. The first question is...where is the water coming from? Call us and let us help you help you figure out what is going on and what to do about it. 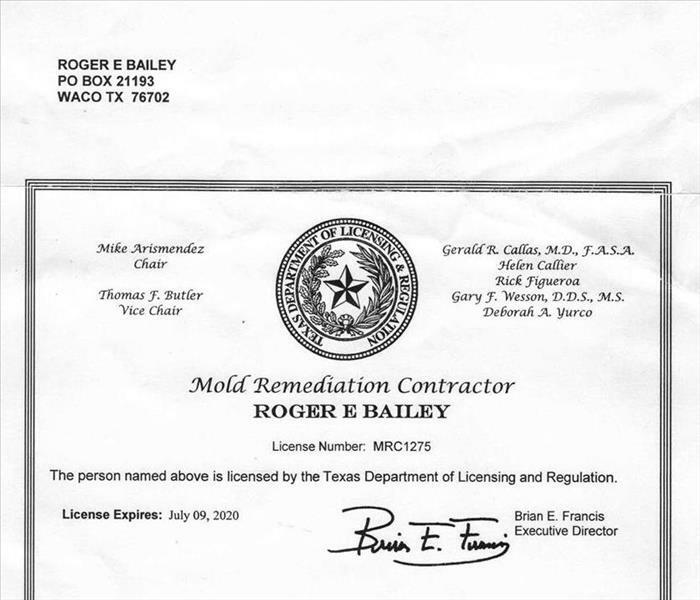 We are licensed for mold remediation contracting by the State of Texas. We live and work in this community too; we might even be neighbors. As a locally owned and operated business, SERVPRO of Waco is close by and ready to help with your mold-damaged property.